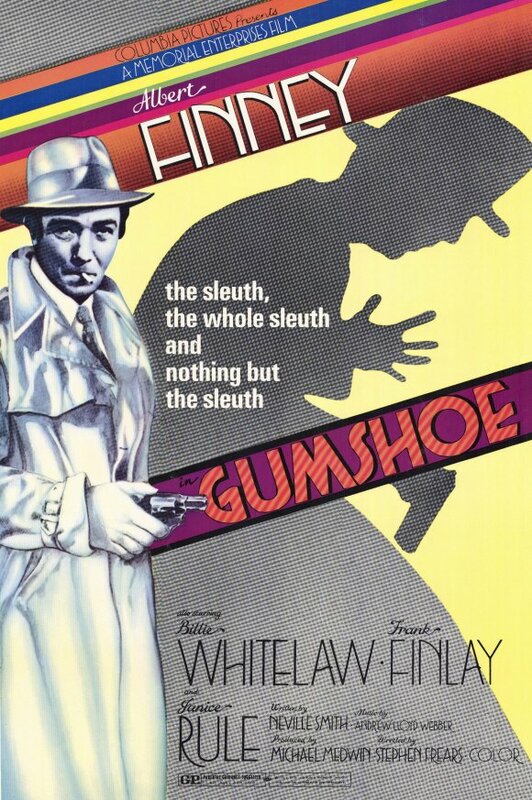 Stephen Frears first directorial effort is a warm and successful attempt to pay a loving tribute to those cinematic private eyes that wore fedoras, trench coats and always had a cigarettes dangling from their lips. Think Phillip Marlowe, or Sam Spade as portrayed by Bogart or Alan Ladd. Eddie’s life is in a shambles. You see, Eddie’s former girlfriend, Ellen (Billie Whiteshaw) dumped him and married William (Frank Finlay), his creep of a brother about a year earlier. Since then Eddie has been seeing a psychoanalyst, only now he decides the doc’s “off his head’ so naturally Eddie puts an ad in the newspapers offering his services as a Private Eye. He quickly gets his first job. He is told to pick up a package at a hotel. Inside the room, sitting in a chair, seen only from a side view, is a Fat Man (shades of Kasper Gutman). There is a package for Eddie containing a photo of a young woman, a thousand dollars and a gun. The assumption is Eddie is being paid to kill the young woman. Eddie thinks the whole situation is a setup, a joke by some of his mates as a way celebrating his 31st birthday. Soon, the plot thickens, as they say, and before you can spit out the words “When you’re slapped, you’ll take it and like it”, Eddie is involved in a convoluted plot worthy of Chandler or Hammett. Eddie finds himself caught up in a kidnapping, illegal arm sales, heroin deals and murder. Oh and there is a beautiful villainous American woman (Janice Rule) who is willing to pay any amount for his investigative services is also in the mix. The joy of this film is that it works both as a loving tribute, note the bookstore scene that pays homage to “The Big Sleep”, and also as a mystery. This is due to the intelligent and witty script by Neville Smith that contains sharply written and wonderfully descriptive dialogue and the work of first time director Stephen Frears. 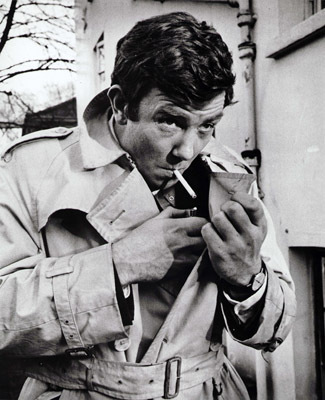 If for no other reason, the film is worth watching for the performance by Albert Finney who has the right look of innocence and manages a pretty good impression of Bogie for this role. Also, add Billie Whiteshaw, Janice Rule and Frank Finlay as Eddie’s repugnant brother, William to the list of fine performances in this enjoyable film. Probably the most surprising aspect of the film is the score, which was written by Andrew Lloyd Weber that includes a 1950’s style rocker, written with Tim Rice, sung over the final credits that cruise along like a smooth driving hot rod. 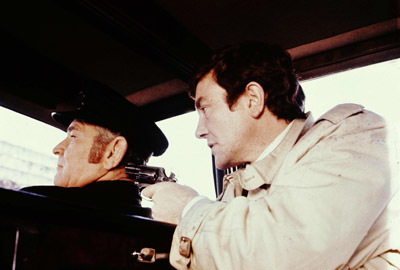 This entry was posted in 1970's, Film Reviews and tagged Albert Finney, Billie Whiteshaw, Frank Finlay, Gumshoe, Janice Rule, Stephen Frears.